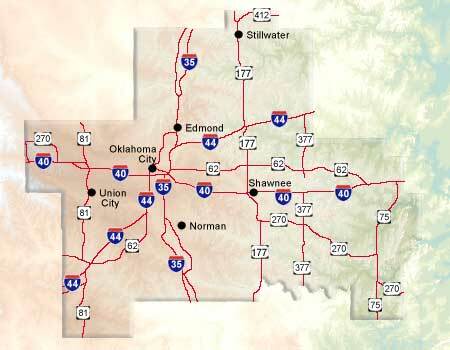 Oklahoma's Central Region is also known as "Frontier Country." The historic Land Run of 1889 triggered an exciting beginning for Central Oklahoma. Visitor attractions, many of them new, recharge the excitement. Within easy driving distance are fishing, boating and golf, as well as amusement parks, Western art and professional theater. Oklahoma City, in the center of the region, boasts the historic Bricktown entertainment district, bisected by a mile-long canal. Also in the city is Remington Park, a major thoroughbred and quarter horse racing venue; the National Cowboy & Western Heritage Museum; and the Red Earth Festival, featuring Native American dancers from all over. Midwest City holds the Global Oklahoma Festival annually. Norman is home to the Sam Noble Oklahoma Museum of Natural History, which houses more than five million artifacts.